Knollwood Christian School will educate children to apply Biblical principles to every aspect of life, to grow as Christian men and women who clearly understand today's world, and to be academically and spiritually prepared to engage the future. To impact the world by graduating extraordinary students who have a foundation of academic and spiritual knowledge that compels them to leadership. This history of Knollwood Christian School is a part of God's plan in His providential working in all time and history. We look back in awe at what He has already accomplished and to the future with great excitement at what He has yet to accomplish in and through this ministry. Since its founding in 1994, the purpose of Knollwood Christian School has remained a constant: To provide a high quality, distinctive school for families who seek a Christian education. The church leadership of Knollwood Presbyterian Church had a vision to build a school that would bind academic excellence with Christian perspective. They dreamed of educating children who would grow to possess the mental, physical, and spiritual strength to accomplish great things. That dream has become reality in Knollwood Christian School. KCS opened in 1994 in classrooms of Knollwood Presbyterian Church with four students, one staff member, and a budget of $10,000. The founding Board of Directors oversaw all aspects of the school - from selecting textbooks to hiring teachers - seeking God's wisdom on a daily basis. 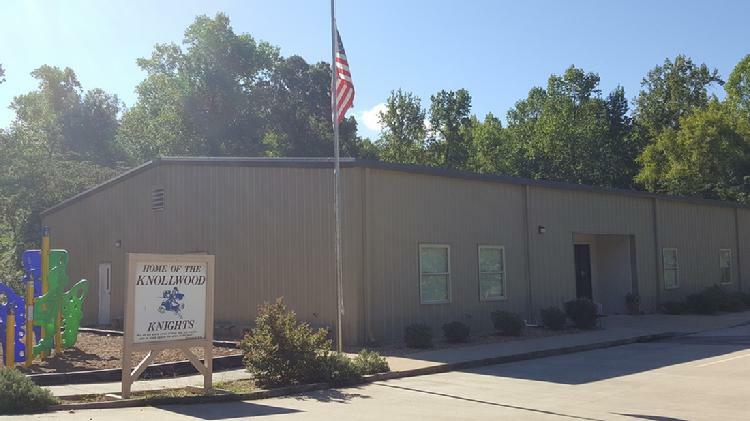 Knollwood began adding a grade each year and added the eighth grade in the 2001-2002 school year. In the 2014-2015 school year Knollwood expanded to include ninth grade adding a grade each year. Beginning with the 2017-2018 school year Knollwood started accepting students for all grades K4 through 12th.